On 9 October 2012, two qualified unit lengths of toroidal field conductor were shipped from Kurchatov Institute to the customs office for their subsequent transportation to Europe. Russia is making progress, as evidenced by the well-timed procurement of the future facility's components. 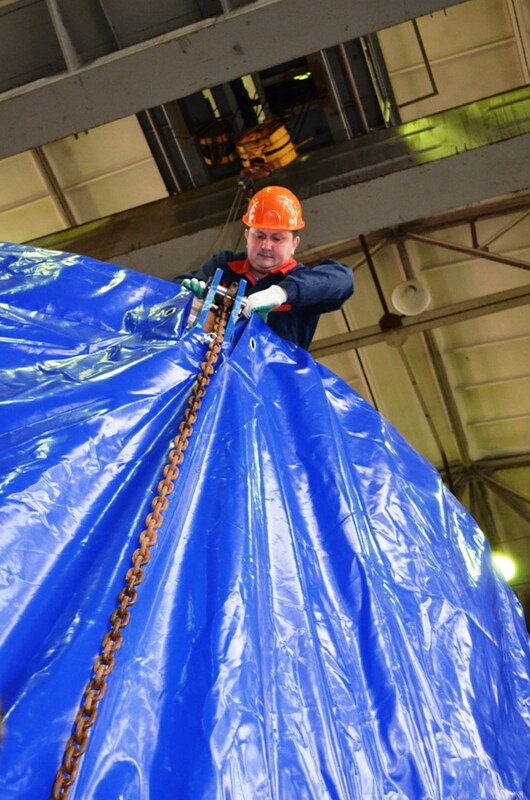 On 9 October 2012, two qualified unit lengths of toroidal field conductor for the ITER magnetic system were shipped from the Kurchatov Institute in Moscow to the customs office for their subsequent transportation to Europe. These were the copper dummy and the 100-metre qualification conductor, Russia's first procurement of toroidal field coil conductor. 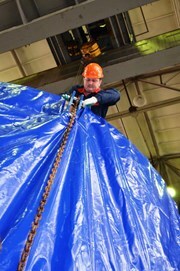 The conductor lengths, manufactured at the Russian Scientific Research and Development Cable Institute JSC VNIIKP were delivered from the Kurchatov Institute, where they had previously undergone vacuum tests involving special equipment. The next shipment of toroidal field conductor is planned to take place in compliance with the schedule. Click here to view a video of the operation.